The Colorado College Ranking is as the 27th best Liberal Arts college in the states by the USNews, and the 51st best nationally by Forbes. 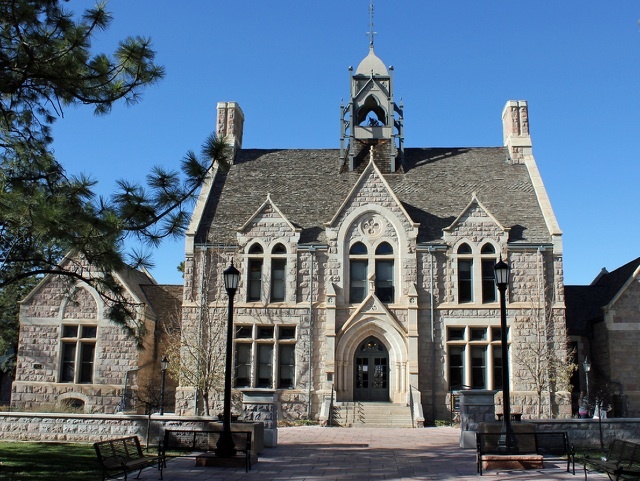 Other large colleges on the Colorado Colleges List include the University of Denver, Colorado State University, Colorado School of Mines, University of Colorado – Boulder, University of Northern Colorado, and Colorado Mesa University. The total composite Colorado College SAT Score range (verbal plus math; middle 50%) for accepted applicants is 1220 – 1430. The Colorado College admission requirements for ACT (25th-75th percentile) at Composite are 27 – 32. The Colorado College tuition fees are $46,410 for both in- and out of state students. It is a very selective college accepting 22% of applicants. Financial aid offered totals $26.7 million per year, an average of $37,780 per student. Colorado College (CC) is a Private college situated in an urban locale in the city of Colorado Springs, CO. 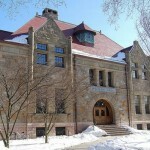 Photograph of Cuter Hall at Colorado College by Jeffrey Beall. Currently, there are 2,061 students at Colorado College. Of these, 2,041 (99%) take classes at the UG level, and 20 (1%) take PG classes. Of the undergraduates, 2,025 attend classes full-time whereas 16 are there as part timers. Geographically, 19% come from in-state whereas 81% come from out of state. There are around 6% of students from abroad. 1,111 women attend CC as UGs, and there are 914 men who study at that level, for a ratio approximately 45:55 men to women. Nine percent of undergraduate men are members of a fraternity, and 11% of women members of a sorority. Regarding ethnicity, the undergraduate student body can be broken down to 69% Caucasian, 4% of Asian descent, 2% black, and 9% Hispanic/Latino. The academic establishment is considered to be the 27th best National Arts College by the U.S. News College Report. The tuition fees for studying at this college are $46,000. It will cost a further $10,752 for room and board expenses, $1,255 for required books, and $410 for administrative fees. This brings the total cost of attending at this establishment to about $58,420. Colorado College provides a needs-based scholarship fund of $21,796,000 and has non-needs based funding of $4,872,000 available, making a total of COLEX-$26,668,000 accessible in grant-aid to their attendees. The average financial help given to each scholar is $37,780, around 99% of students receive help with their finances. Colorado College is a very selective establishment with acceptance rates of around 22.3%. In the previous year 4,916 applied, of whom 1,267 were admitted. Of those receiving admittance 489 (38.6%) matriculated to the school. The cost to apply to the school is $60. Regarding the people accepted for admittance, 66% placed in the highest 10% in their high school. The most important factor for getting into the school is the Secondary school record. Other important aspects for admittance include Essay, Interview, Recommendations, Class rank, Standardized test scores, and Extracurricular activities. The application address to apply for study at CC is Admission Office, 14 E. Cache La Poudre St., Colorado Springs, CO 80903. The telephone number is 800-542-7214 or 719-389-6344, and the fax number: Fax: 719-389-6816. The admissions site can be found at https://www.coloradocollege.edu/admission/choosingCC/. If you need to contact the financial aid office then use either of these telephone numbers: 800-260-6458 or 719-389-6651. 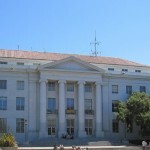 The college proffers approximately 80 majors and minors, with the most popular being Sociology (7%), Biological Sciences (6%), and Economics (6%). Class sizes are usually small: fewer than 20 (64%), and 20 to 49 (36%). The campus at CC is located in an urban setting in Colorado Springs, CO. It covers an area of about ninety acres. Sports teams partake at the NCAA Division III level in the Southern Collegiate Athletic Conference (Division I for men’s ice hockey). The sports teams are known as the Tigers. Men take part in eight varsity events, and women are involved in nine events, competing in a total of 10 different varsity events overall. The college currently employs about 195 full-time academic faculty, and 174 part-time (total faculty = 369). The student : teacher ratio is 10 : 1. Around 79% of undergraduates graduate within four years, while 87% graduate within six years. In the previous year, 533 students graduated the college; these obtained 513 Bachelor’s, and 20 Master’s degrees.